Turn those unused award coolers into something special. 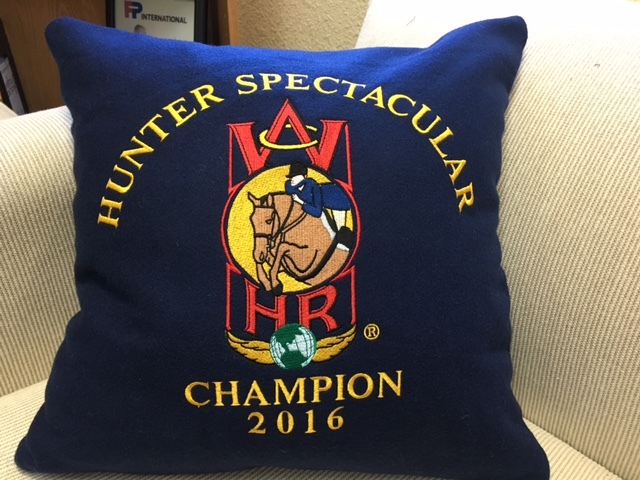 Simply send us the cooler and receive back a gorgeous pillow (and remainder of cooler, if desired). 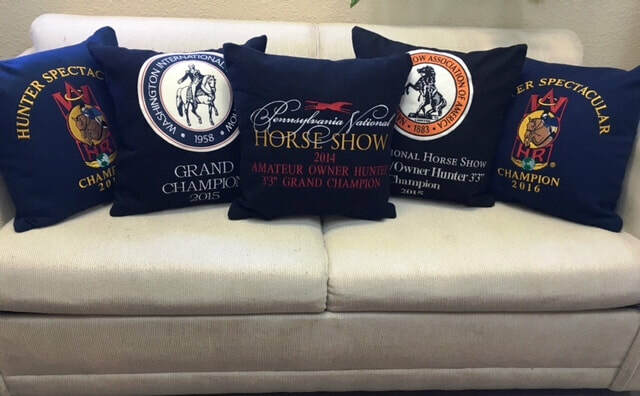 GREAT for horse show set ups or at home! All pillow covers can be easily removed for easy cleaning. Typically 12", 14", 16" or 18"
Don't have a cooler to cut down? 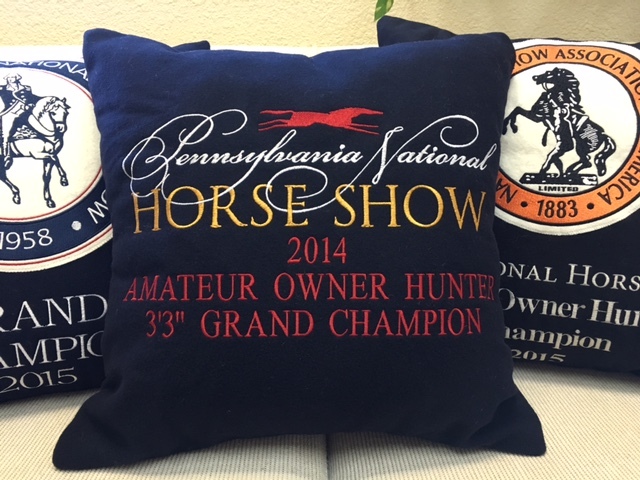 We can still make a custom pillow with any logo, barn name... in your barn colors etc. These make GREAT gifts or awards. Approximately 18"x14"x8" with room for expansion and come standard with a mesh bottom to let the dirt out. Available in Sunbrella, Cordura, Nylon or Navajo! Only $75 including embroidery.... Multiple piece discounts! All products made in the USA since 1977! ​Or utilize our "chat now" box for more information!